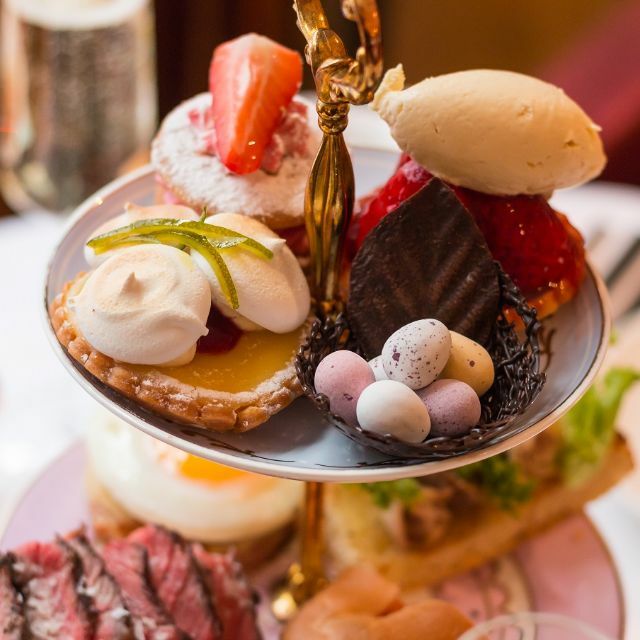 Scoff & Banter Tea Rooms celebrates that quintessential British time-honoured tradition of afternoon tea. 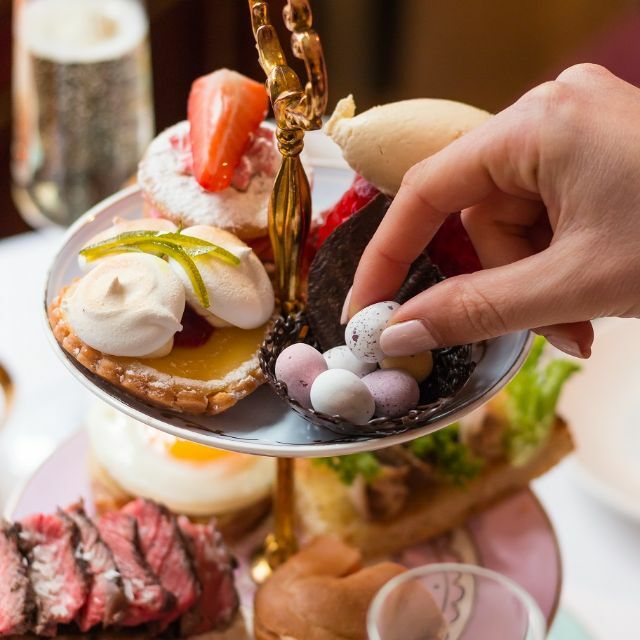 Tucked away just off Oxford Street, you’ll find a cosy little retreat serving the very best in Great British afternoon tea, whatever the time. Let us take you on a journey from the savoury to the sweet, to the fabulous and the great. With a few little surprises along the way. On a plus note, there was a great selection of teas and some of the deserts really hit the spot! Casually found myself here, with a friend and I am so happy I did. The customer service was exceptional and the staff were very accommodating. The dessert and tea that we both ordered, tasted great and although the portions were quite small, I would highly recommend the lemon meringue, blackberry compote and lime syrup! We really appreciated the high attention to detail, from the uniform set up of each table to the great cleanliness. Only one other table was occupied when we went, so there was an underlying quiet that made for a very calming atmosphere. Overall, we thoroughly enjoyed our visit and plan to go back for a full tea experience! Fantastic After noon tea! Serviceminded staff, good food etc. We are a family of 5 with 3 kids and the hostess was very accommodating and explained the selections well. Food was plentiful and tasted excellent, and the teas / hot chocolate were equally great. Would definitely recommend! Sandwiches was not so delicious, but rest of food was really good. Nice and quite place. Tea was delicious, but I didn't like, that tea was after few minutes too strong, because it was impossible to take it out. I booked this as a birthday treat for a friend, it was everything she wanted. 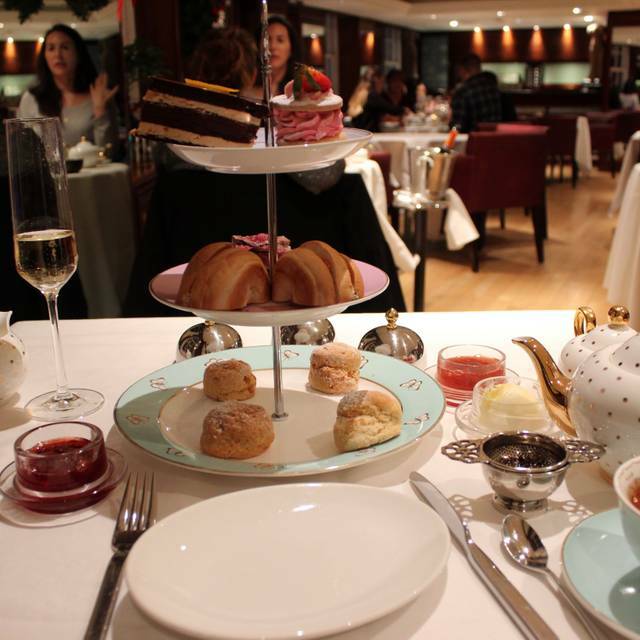 It felt very special with attentive service without the really insane prices of the 'top' afternoon tea in London. We were able to sit and enjoy our experience happily, with wait staff topping up hot water unprompted. Our waiter went out of his way t make the experience positive and I couldn't have been happier. Scoff & Banter was slightly hidden, in the hotel behind the disney store. Worth seeking out! 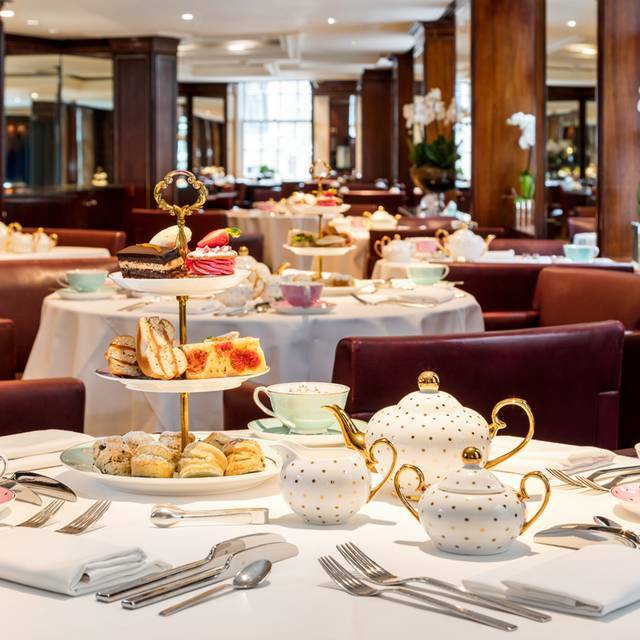 Favourite afternoon tea in London. Fantastic food and service, can't wait to go back again. The noise level was energetic likely because of us -- we had a great time, a great visit, and the tea room lovely and delicious! Went for Mother’s Day and they gave us a complimentary glass of Prosecco which was lovely. Very nice selection of scones however because they were brought out with the sandwiches and desserts, they were cold by the time we ate them. Overall the food quality didn’t quite meet our expectations - especially taking in the location and the special “hot kitchen” element. So we were the last sitting of the day. It was very quiet. However the staff were more interested for setting up for breakfast. We had to seek staff out on 3 occasions which wasn't great. The hot food was amazing, however one of our sandwiches had cling film inside it. Then 2 sets out of our 4 scones were rock solid (even staff agreed). We were given more and an extra cake as an apology however when you are there for afternoon tea why more cake? It was such a shame as other than that the food was exceptional. I had a lovely afternoon tea with my friends. I couldn’t fault the food - everything was delicious. Sadly our allocated waiter wasn’t as good - from lack of service to dropping Prosecco on my head, with only a half hearted apology! A very pleasant and comfortable setting. Although we had the minimum offering is was very tasty and the service excellent. Staff was very friendly and helpful. Hot food a bit disappointing but all the other elements really tasty. And tea itself amazing. All things considered enjoyed this experience. Arrived at 1pm no staff to meet and greet . Taken to a table for 2 which was next to the only other couple in the tea rooms. Asked to be changed immediatly. Went with my daughter as a treat atmosphere wonderful and delightful food, a wide range of teas available. Would highly recommend. The tea room is located inside the Radisson and is a nice respite from the bustling street while a little hard to find. It is delightful environment and the food is solid for what it is. The only downside is that it was a bit understaffed so service seemed a little slow. 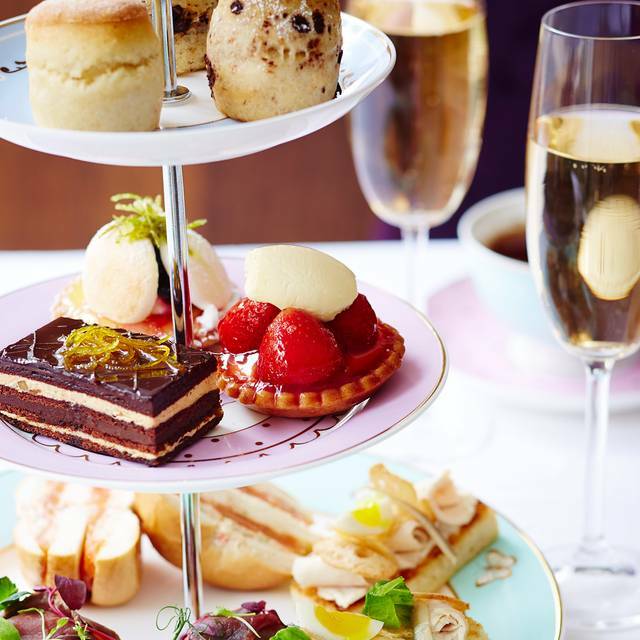 Overall, it was an afternoon tea that was relaxing and enjoyable. Reasonably priced compared to other Teas we looked at. Would try a different location next time. Fabulous afternoon tea with a difference! Food was delicious, couple of the hot items were luke warm which was a shame but overall a fantastic experience and would highly recommend it. Great service, our waiter Antonio was so attentive and friendly. Food was delicious! But so difficult to find they should advertise they are part of the Radisson hotel. Lovely afternoon tea. Good food from a vast choice. Excellent service. Service charge...a bit too expensive! The afternoon tea was nice but overpriced for what you get compared to other teas I have had. All the items are of a very small size including the scones. The staff were lovely and attentive. A good selection of teas. No view out of the windows. The dining room was on the quiet side. We were there in a Saturday afternoon with reservation, the tea rooms was very busy and can see that they're short in staff. 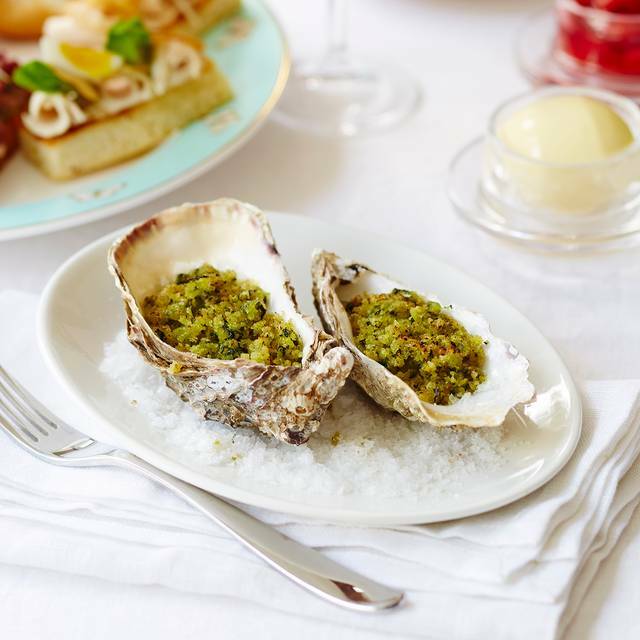 Even so, they still managed to perform great service with very professional attitude, we enjoyed the afternoon tea very much, the food is wonderful (especially the hot entrée plates, the spiced scallops & oysters Rockefeller were delicious ) and the price is reasonable. We will definitely visit the tea room again sometime during the week. We went here for a treat to celebrate my sons 18 and 21 birthdays. We were very warmly welcomed even though we were early. The food is just excellent here and I had mentioned when I booked it was a special occasion and could we have a nice table but two amazing birthday trays arrived with a fantastic additional desert on and happy birthday piped on it ! The service was outstanding I really couldn’t recommend this afternoon tea highly enough. Everything was excellent one of our party had a dietary request aswell and such consideration was given to this nothing was too much trouble. I would recommend a friend but only based on my experience the first time round. Not this time. I came to this same venue just before Christmas and it was lovely. I enjoyed it so much I took my friend there last weekend. However, this time was a little bit of a disappointment. We only had tea and scones and the service was very slow. Little details, like the china the scones were served on were broken and wonky. We still had a nice time but I wouldn’t have recommended it after that experience. 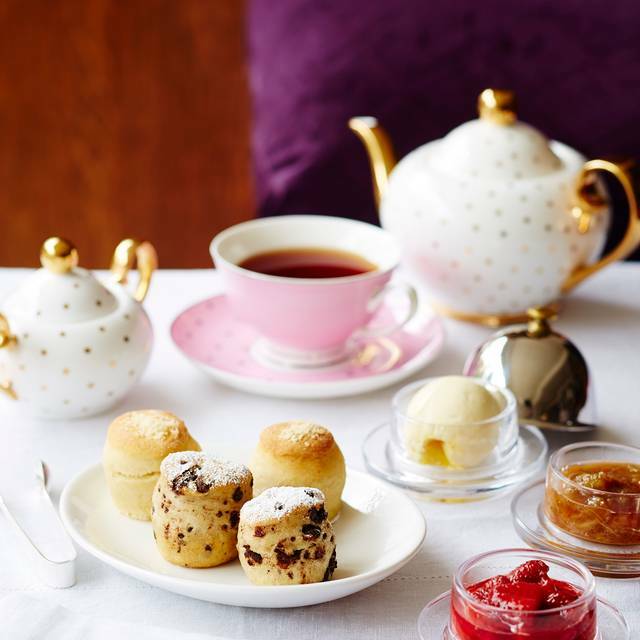 The choice for the afternoon tea is amazing. Two hot dishes, sandwiches, scones and desserts. This does mean that you get really full and we ended up wasting quite a lot which was a shame. Service was great, especially the kind waiter who took out photos and arranged our table nicely for us. We also had a free bottle of prosecco which was lovely. Great selection of food and teas, nice atmosphere, great service. I have been to Scoff and Banter on many other occasions and i have always loved your Oxford Circus tea room. I have celebrated birthdays and had simple catch ups. On this occasion I organised my friends baby shower in the oxford circus tea rooms. The man I spoke to when I was making the book was really helpful and polite and made the reservation for me and also made note that we had two vegans and a coeliac (gluten free) suffer attending. I was told this would not be a problem as you have a separate gluten free menu and that substitutes could be made for the vegan individuals. On arrival, the waiter was friendly and we were seated straight away. The service was great but we were highly disappointed by the fact that whilst we had told both waiters that we needed vegan options, they subsequently continued to offer food not suitable for vegans and at times even for vegetarians. At one point the waiter brought out a salmon sandwich and said it was fine for the vegan to eat this - we had to constantly explain the difference between what was suitable for vegans and what wasn't and even then we were unsure if what was being served (i.e the chocolate mouse and jelly) was actually for vegans despite being told it was suitable for the vegans to eat. Over all it was highly disappointing - I would not have expected to book an event, been told in advance that you would cater to specific dietary requirements and then for both waiters and chef to not know the difference between began and vegetarian and worse serve salmon to a vegan. It was a nice afternoon tea, with a great value ! The room is cosy and the food is good. absolutely Fab! Staff faultless . Back again soon! Fabulous afternoon tea for my daughter’s birthday, our second time of visiting. Csaba and Roberto were so friendly and attentive. The warm starters (scallops, lamb) were delicious, the smoked salmon sandwiches, rhubarb and custard dessert especial highlights. Just the scones were soggy. The tea selection is really good- lapsang and rooibos tiramisu our favourites. We were there late afternoon during the week so had masses of attention and my daughter loved her individual birthday cake. It’s not grand like Claridges or the Ritz, where we’ve also enjoyed tea, but the food and service I think are better - very good value overall, especially with the Prosecco offer! Not quite your traditional afternoon tea. You are given a menu to choose 2 items from 4 sections - warm snacks, sandwiches, scones, cakes. Vegetarian choices for sandwiches and the warm selection were limited, underwhelming and bland - egg or cucumber anyone?! My dining partner eats meat and was happy with her choices and said they tasted great. Was strange to see her eating a tiny lamb chop at an afternoon tea though! Scones were tiny and came in 4 different flavours along with tiny dishes of clotted cream and runny rhubarb or strawberry sauces. The sauces tasted good but were so runny they dripped off the scones. I had an sticky toffee pudding in a tiny cup and a lemon meringue cake. The sticky toffee pudding was the highlight of the tea for me and the lemon meringue was overly sweet and cloying - as if it wasn’t sweet enough they put an unnecessary dollop of jam in it too. The masala chai tea was absolutely lovely but we weren’t at any point offered another pot. The staff, although friendly, were rushed when we first arrived and I had to attract one of their attention after 15 minutes so we could order. It’s a dedicated, wood panelled tea room in the Radisson hotel. If you get a table by the window it is a lovely place to sit and chat. If you’re looking for a good value, traditional afternoon tea this is really not the place for you! 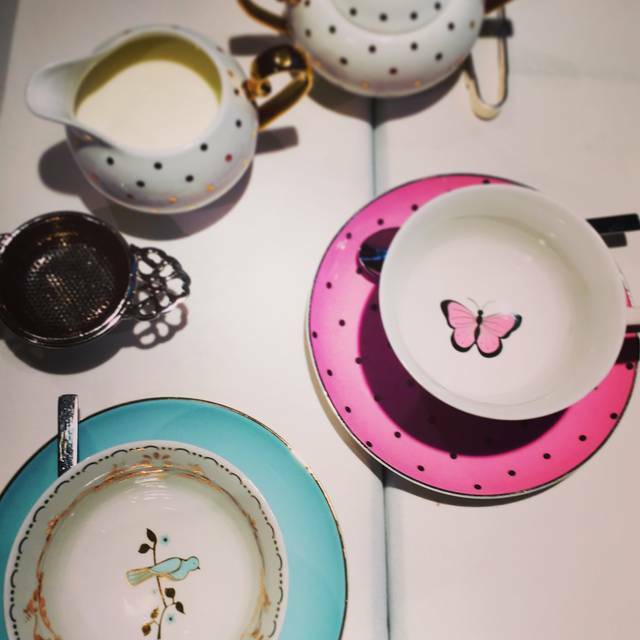 We had the most wonderful Afternoon Tea at Scoff and Banter off of Oxford Street. Our sever Roberto couldn't do enough for us, the food was delicious and plentiful and it was the perfect treat for my sister and mum. I would thoroughly recommend here if you are looking for somewhere special to take family and friends. 10/10 cannot wait to return! Absolutely amazing food, service was impeccable and booking online got us a complimentary bottle of prosecco which was really enjoyable.